Earlier this week, WhatsApp announced that it’s launching a tip line in India to verify messages during the election. But as it turns out, the new service is not exactly a hotline for debunking fake news – but rather a tool for researching misleading information shared on the platform. 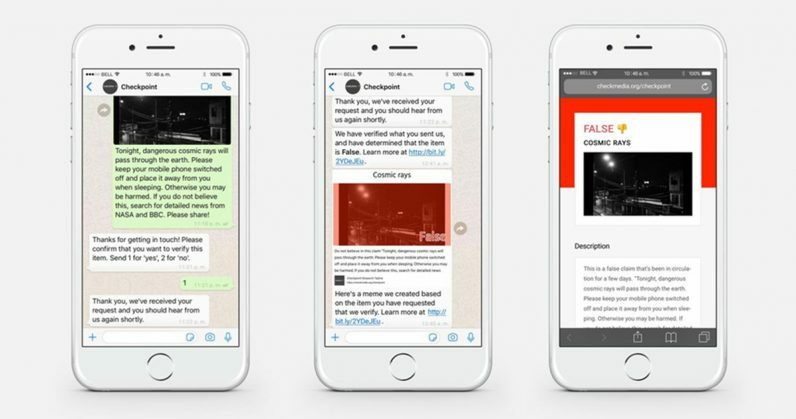 After an inquiry by BuzzFeed News, FAQs uploaded on Pronto – WhatsApp‘s partner for this project – website suggests it’s just meant for research purposes. The Checkpoint tipline is primarily used to gather data for research, and is not a helpline that will be able to provide a response to every user. The information provided by users helps us understand potential misinformation in a particular message, and when possible, we will send back a message to users. The Facebook-owned company’s now clarified that its intention wasn’t to suggest that the tip line would provide responses to users during the elections. Pronto’s site claims that if the rumor is previously identified by the agency, users will get a quick response stating if the information is true or false. However, if the rumor is new, and within the scope of the research, verification may take up to 24 hours; users will get an “out of scope” message for rumors not covered by this research. However, it seems the process is pretty slow. We sent a few messages to the tip line over 48 hours ago, and we’re yet to hear back. Even BuzzFeed News noted that they’ve received no response for the message they sent. This clearly indicates that at present, the research team might not be equipped to handle a torrent of messages. While this might be just a research project, it’ll be interesting to see how many pieces of misinformation Pronto can verify – and whether it can improve its response time. The bigger question is if WhatsApp wants to deploy this at scale. Does it even have the technical prowess to tackle a massive and complex event like the Indian election?